FREE PREVIEW – View select topics to experience how the guides can help you find answers at the point of care. 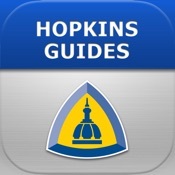 The official Johns Hopkins Guides deliver authoritative, need-to-know information that is easily accessed, promptly applied, and frequently updated to iOS devices and the web. All four of the guides are updated monthly and arranged in a way that lets clinicians easily browse or search for content. iTunes automatic renewal feature: Your subscription automatically renews unless auto-renew is turned off 24 hours prior to the conclusion of your current period. Your iTunes account will automatically be charged the current renewal rate within 24 hours prior to the end of the subscription period. This will ensure you receive all updates and continued web access for the following year. Each title costs $29.99 per year, or you can purchase the complete set for $79.99 per year.